We knew that Huawei is ready to announce a Windows Phone 8 device at CES 2013, then an exec who warned Note II buyers to wait and see what Huawei has in store for them, and now we have another scoop on the company's 2013 plans. Another exec has mentioned casually that Huawei will also be announcing a 5" Full HD display phone, as any self-respecting high-end in 2013 will seemingly sport one such screen, but they also talked about a second half "superphone" that is in the works. Oppo Find 5 already confirmed that Chinese high-ends are now up with the best out there, so we can't wait to check Huawei's claims when time comes. "If our R & D people have not made a mistake, then we have in the second half of 2013 something better than Apple and Samsung," the company's CMO reportedly said. A pretty bold statement, but the 5-incher with the 1080x1920 pixels that we'll check out at CES is said to carry some "special features", so next month's announcement might give us a hint towards Huawei's superphone coming down the pipe later in 2013. 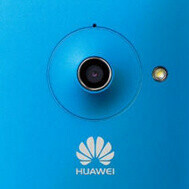 LOL, talk is cheap, why Huawei not show us some pics. I am NOT Waiting until 2013!! ENOUGH IS ENOUGH!!!!!!!!! That's a tall claim they're making. I sometimes think what is going in their minds...is it that they have already created something or on the verge. If they mentioned a particular phone that they think they can surpass, they should mention it. But Samsung and Apple as a whole is going to be hard to beat. True, saying it beats Apple or Samsung is one thing. Saying it beats Samsung AND Apple, you're gonna need more than awesome specs to do that. These guys Huawei must be smoking real serious out there. Give it up Samsung rules this space always will. Samsung won't rule forever. Someone always rises up and takes the market by storm, it's just a natural thing. Or the ruling company gets new management and the new head makes terrible decisions that runs the company into the ground. Whichever comes first. That's a photo of Ascend w1 and it doesn't take a genius to figure out. Wow can't wait for CES 2013 it sure is going to be something. There is a serious flaw in some of the text in this article. Some Chinese phones have managed to attain height in their specs like any manufacturer can but that is only a part of what making a great phone is. There is a reason why Samsung and Apple sell so many phones and hardware again is only part of it. In that case, talk means nothing if it cannot be backed up with something more than a few gimmicks. Anyone can follow or create tech but can they make they tech match with amazing software, lasting quality, and an impressive end experience? Good luck. Is all I am going to say till we get ALOT more info beyond chest beating. It's like with the announcements early this year at MWC in Barcelona for the Ascend D Quad which should be a Galaxy SIII killer. Too little and far too late on the market to make any impact or attract potentional buyers. By the time Huawei can offer a Note2 competitor (or better? ), Samsung will have the Note3 on the market. I wouldn't say better because you have to BEAT THEM AT SALES/MARKETING in order to sell over 3 million phones or more.